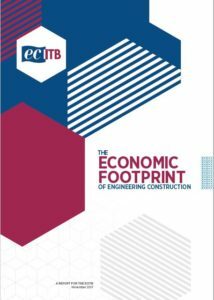 ECITB published research into the engineering construction industry (ECI) reveals an economic footprint that employs nearly 190,000 workers and contributes as much as £325 billion in turnover to the UK economy. The report on the size and value of the ECI to UK Plc has been carried out by the Centre for Economics and Business Research (CEBR) on behalf of the Engineering Construction Industry Training Board (ECITB). Other key findings in the report show that it pays to work in engineering construction – where the average weekly wage is £631 compared to £439 across all sectors – and that despite a slowdown in the oil and gas sector in recent years, the industry as a whole has been growing – with employment figures rising by 26% between 2010 and 2016 compared to a rise of 15% in overall private sector employment. The study also predicts that this growth will continue, with the ECI set to buck national trends and expand by 17.7% in the next decade, despite broader economic slowdown.